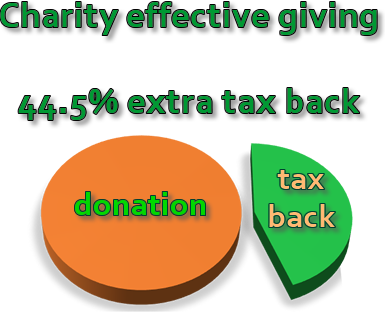 The Charity Donations Scheme on qualifying donations to eligible charities from income tax paying donors goes to the charity at a rate of 44.5% extra. A 5% iMAP charge applies on income up to €5,000 cut-off point in on transaction, with no additional charge on the larger amount. €250*100/69 = €362.32 so the tax refund will be €362.32-€250 = €112.32. 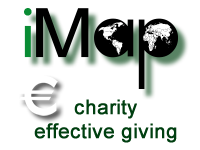 On this basis the tax refund on a donation of €500 will be €224.64 and on €1,000 it will be €449.27. Threshold is €250 in the year. The donation is given with no benefit to the donor. The donor is an income tax payer regardless of rate. Annual limit of €1million per individual can be relieved. No higher earner restriction. ‘Associated’ donor is limited to 10% of annual income. Signed CHY3 or CHY4 form valid for one or five years with PPS details. 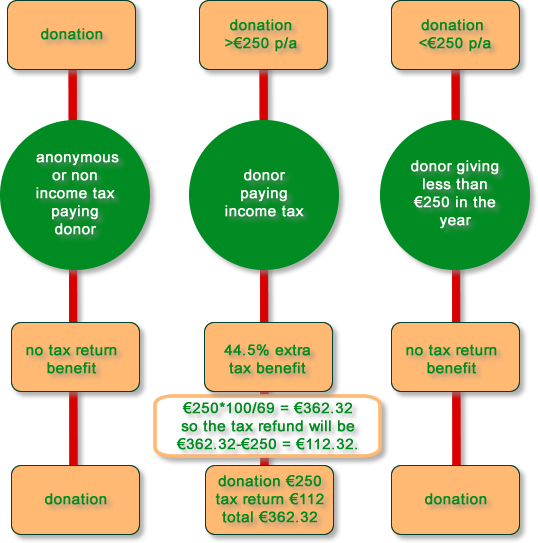 44.5% extra on a €250 donation yields €112.32 tax return.